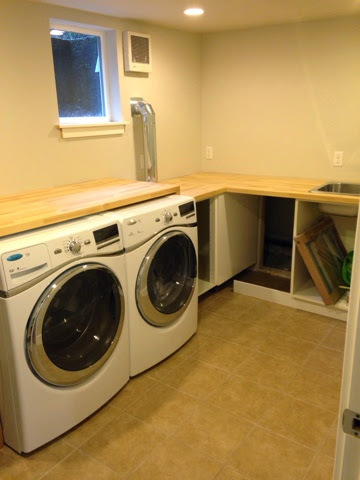 This weekend we're getting ready to install the sink in our laundry room. I sanded and oiled the counters yesterday. After that it's cabinet doors, backsplash and then...done! Mostly. 'Cause you know there are always a few tiny things to wrap up after all the big stuff is completed. Sometimes we go to a nearby Mexican restaurant that has lots of piñatas hanging from the ceiling. Ben loves to imagine all the goodies stashed away inside them. He requested that we collaborate on a hedgehog version. It's been a long process, thanks to drastically different visions of the artists. 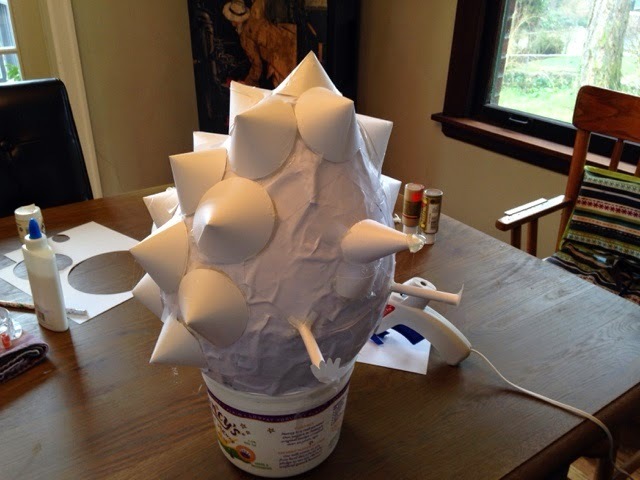 Ben: “MORE GLUE!” Sonja: “LESS GLUE!”. I’ll keep you posted on the finished project. Ben was horrified at the thought of actually destroying little “Hedgie”; he clearly hadn’t thought through the process of how one acquires the interior goodies. 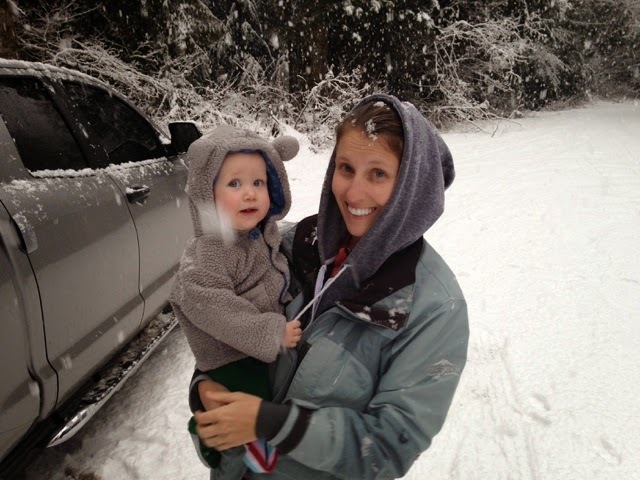 Emma became reacquainted with snow last weekend. She was not amused. 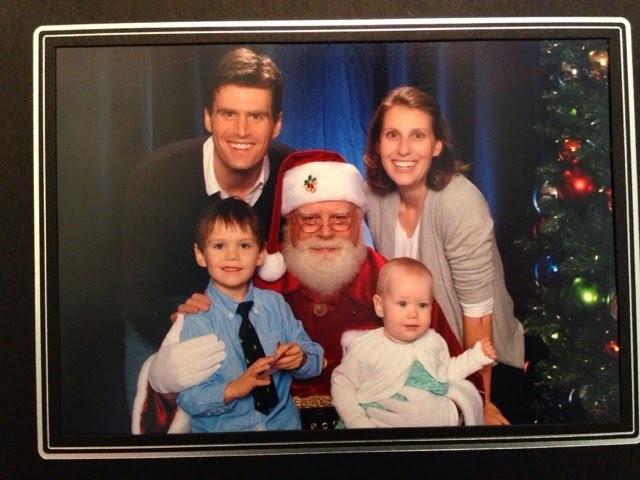 I found last year's Santa photo from Chris' work party. 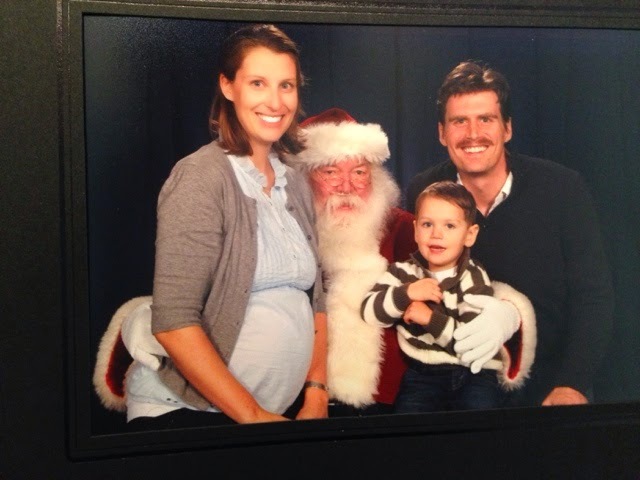 You'll notice that a)I'm hugely pregnant and b) poor Santa is on oxygen (look at his nose). And here is this year's picture. We have a new Santa. Sniff. Ben didn't notice though. Too busy reading off his Christmas list of all his requested toys. Also, Chris and I are pretty much wearing the exact same outfits as last year. No fashion points for us. He’s lost the mustache though and I’m counting that as a MAJOR win (sorry, darling). 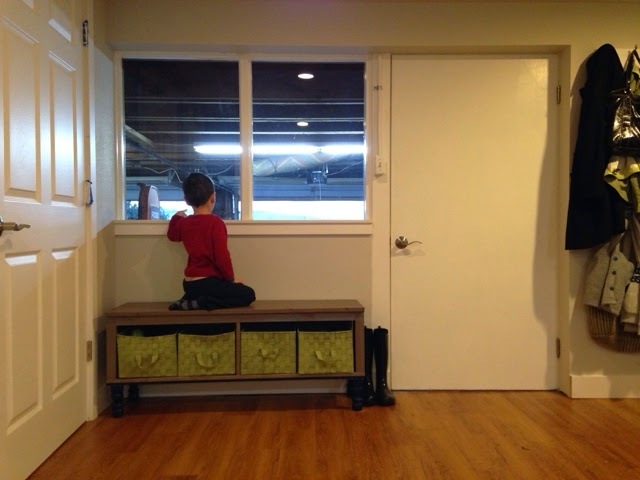 I liked Emma's storage bench so much that I made another one for our entryway from the garage. More pictures to come later. Finishing one project and moving on to the next! Basically, I want my bathroom back. Specifically the bathtub. A good book, a steaming hot bath, and a glass of wine. My version of heaven. Ha. Who am I kidding? I haven’t done that since I had kids. Fine, I want to be able to bathe my kids in a proper bathtub, not a rubbermaid container. Does that count? 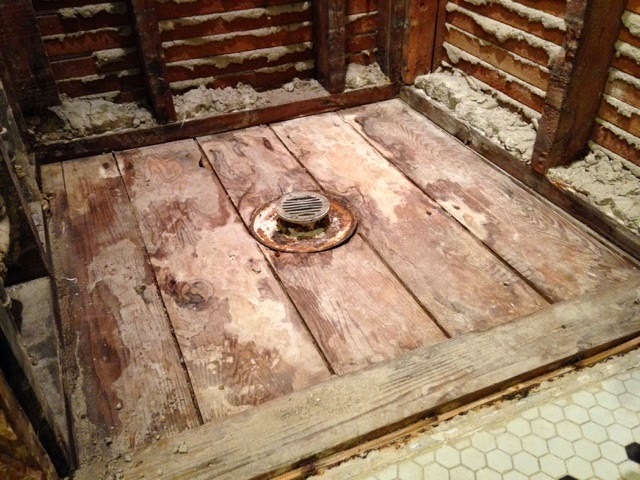 Here is a nice shot of our almost-fully demo-ed shower. I've got big plans for this wee little space.